Create complex scenes of live action and CG, using Cineware! This demo on the Cinema 4D Lite and After Effects integration was recorded live at Siggraph 2013. 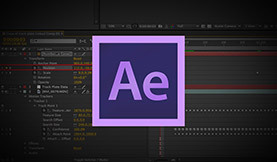 Discover how future versions of After Effects will integrate Cinema 4D. In these video tutorials, you’ll see the new Cineware and CInema 4D Lite in action.